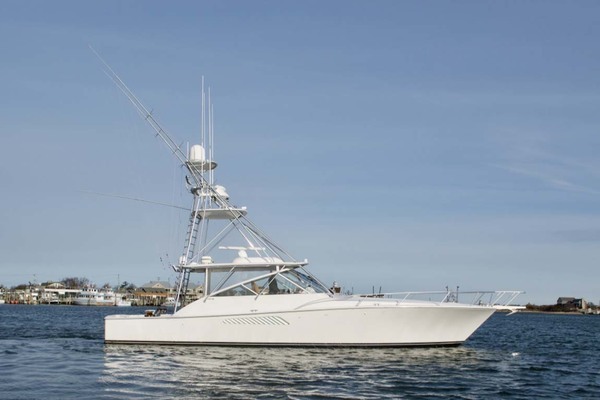 If you’re looking for a Viking 45, This is the one! This Viking 45 is owned by an experienced boating family. Their pride of ownership is evident as you approach the vessel, and as you spend time aboard. Engines were rebuilt the winter 2006-2007 with all genuine Detroit parts. They were bench run, then reinstalled with 2 new transmissions. Engine room was Awlgripped before re-installation. The Generator was also replaced. Refrigerator has been recently replaced as well as the AC units, Water heater etc.